Hello and welcome to my Yokohama ADVAN Sport A/S review. In recent years, tire manufacturers started producing high-performance tires that can work in all-season driving. Before, high-performance tires were summer tires, and there were some winter high-performance tires as well, but never a tire that can do everything. To have the ability to drive on every type of weather and get sporty traction and precise handling sounds great, but most all-season, high-performance tires are often plagued with a lot of downsides. 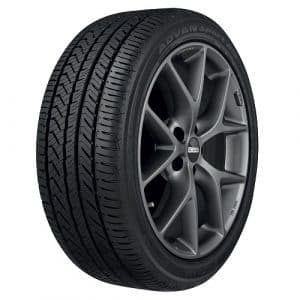 Chiefly, they simply don’t offer the handling prowess of a real summer tire, or they don’t offer real all-season traction as the name suggests. That said, there are tires that can provide you with exhilarating driving experience and still offer good traction in almost all conditions. One of that tires is the Yokohama ADVAN Sports A/S. The Japanese company has put everything it knows in this tire and that shows in the performance department. It’s no coincidence then that it’s very popular with sports coupe and sport sedan owners, as well as SUV owners. This tire can almost do everything you ask of it. The best thing about the ADVAN Sport is that it’s not very expensive, especially when compared to competitors from Michelin, Bridgestone, Continental, and Pirelli. Read on to find out why I like this tire so much and why I think that you should definitely put it on your shortlist the next time you’re refreshing your vehicle with new tires. The ADVAN Sport has a lot of things going for it, most of them high-tech and some exclusive to Yokohama. The company markets this tire as Ultra High Performance All Season tire, which means that it should provide excellent handling capability in dry and wet conditions, and even traction in light snow. This is a tall order and that’s why Yokohama installed several technologies here that will help it achieve that. First of all, this tire is made of advanced polymers that keep the tire strong in the summer for more poised handling, and pliable and soft in freezing temperatures for superior wet and winter grip. The advanced tread compound additionally helps with both of those things, while also improving the tread life. Looking at the tire, you can find asymmetric tread pattern that not only looks cool but it also blends responsive handling with all-season performance. Add to that extra-large outboard shoulder blocks for higher dry cornering speeds and 2-IN-1 intermediate blocks for better handling response and lateral stability, and you have a tire that looks mightily impressive on paper. There are the “usual suspects” here as well, such as the circumferential grooves for better water evacuation and enhanced wet traction. One other tech that distinguishes it from the pack is the Streaming Z-Grooves that create large biting edges for enhanced snow traction and inboard serpentine grooves for better cold weather handling. Of course, Yokohama thought about durability as well – the ADVAN Sport has twin steel belts reinforced by spirally wrapped nylon for a stronger structure, while the Optimized Sidewall Construction enhances handling and comfort at the same time. Well, at least on paper. High-performance tires are notorious for their short tread life, but there are certainly exceptions to the rule. The ADVAN Sport is one of them, up to a point. It’s definitely one of the most durable high-performance tires out there, which is very important for an all-season tire that will be driven through the year. 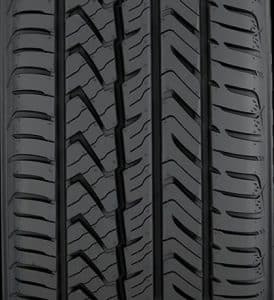 Of course, aggressive driving will degrade the rubber much more quickly, but for the price you pay and performance you get, this is one of the most durable tires out there. I honestly thought that by making this tire all-season, Yokohama couldn’t provide the gusto of a real high-performance tire. And boy I was wrong. I was impressed by the handling capability of the ADVAN Sport. 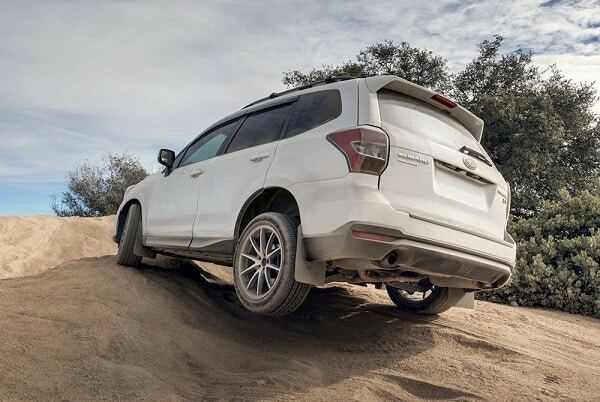 It has high levels of grip in the corners, great traction when accelerating hard, and very short stopping distances. It’s pretty good behind the wheel too. Models with smaller sidewalls feel very precise – almost razor-sharp, and they respond to the steering input like a real sports tire. So, where does this put the ADVAN Sport in the high-performance category? Certainly up there with the best-in-class tires. This feat is all the more impressive given the fact that this tire is cheaper than offerings from other premium competitors – there can be a significant difference in price for a set of four tires. In my experience, summer tires always have better wet performance than all-season tires. I am happy to say that the Yokohama ADVAN Sport has excellent wet traction and short braking distances, almost at the level of a proper summer tire. In heavy rain it also resists hydroplaning very well, giving the driver a lot of confidence in the process. If you ask me if this tire can be driven hard in the rain as it can be in dry conditions, the short answer is: Yes. One of the reasons why a lot of buyers may be tempted by this tire is the winter abilities. Well, at least if you read Yokohama’s description. To cut the chase here – yes, the ADVAN Sport does offer much better snow traction than a summer tire. There is really no comparison here. But, does that mean that you should rely on these tires in the winter months? Well, only if it rarely snows in your area and the temperatures don’t fall way below freezing. This tire does provide better traction and shorter braking distances, but the levels of grip are still pretty limited, especially in snow. I would still install winter tires for the winter months. Nobody buys a high-performance tire for better comfort or less noise, but Yokohama still took care of that aspect here. The ADVAN Sport is not the most comfortable tire around, but it’s not bad either. I was really surprised by the quietness though, even at higher speeds – this tire is definitely a good fit for premium vehicles that are both engaging and refined. By now, I think you noticed that I really like this tire. It offers everything an owner of more powerful sports coupes, sedans and SUVs would want, and it does that in dry, wet and even snowy conditions. It’s also very durable for a high-performance tire, and it doesn’t cost much. It should definitely be on your shortlist. 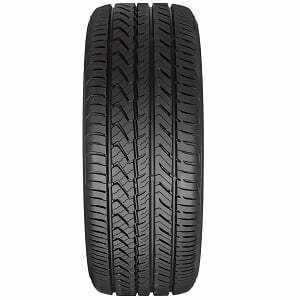 Thanks for reading and I hope you found this Yokohama ADVAN Sport A/S review helpful. If you have any questions or comments please feel free to leave them in the comments section below.